LMC is heading to Orlando! 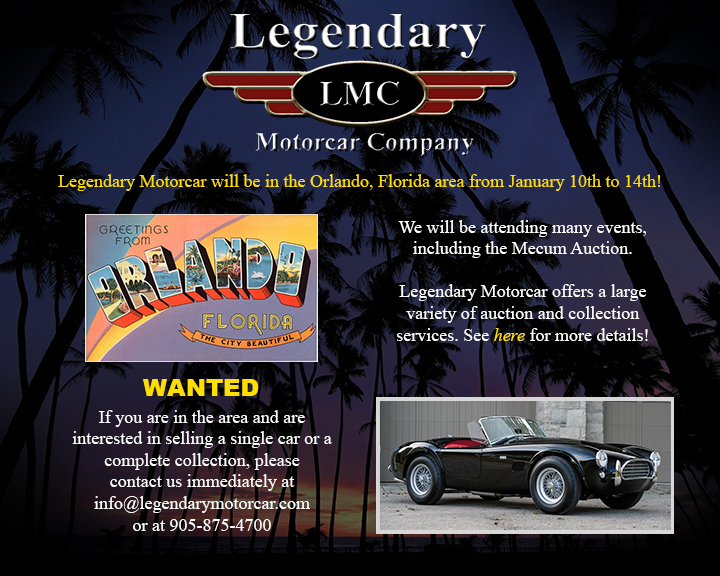 Legendary Motorcar will be in the Orlando area from January 10th to 14th! If you live in the area and are looking to sell a car or collection, contact us immediately!